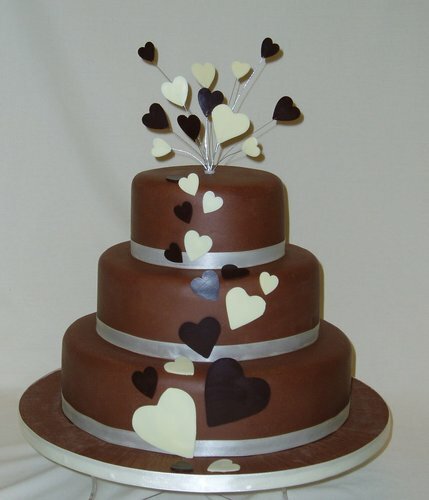 A romantic three tiered stacked rich chocolate wedding cake coated in luxury milk chocolate paste. Dark and white chocolate hearts cascade down the cake. A fountain of chocolate hearts on silver wires adds the finishing touch.